Reply, 'For the Gentleman whose case is signed by Mr Farquhar & dated 16 Novr. 1764' [untraced]. Cullen does not believe the patient's symptoms to be caused by a recent fall, 'further than that it might contribute something to what has happened'. 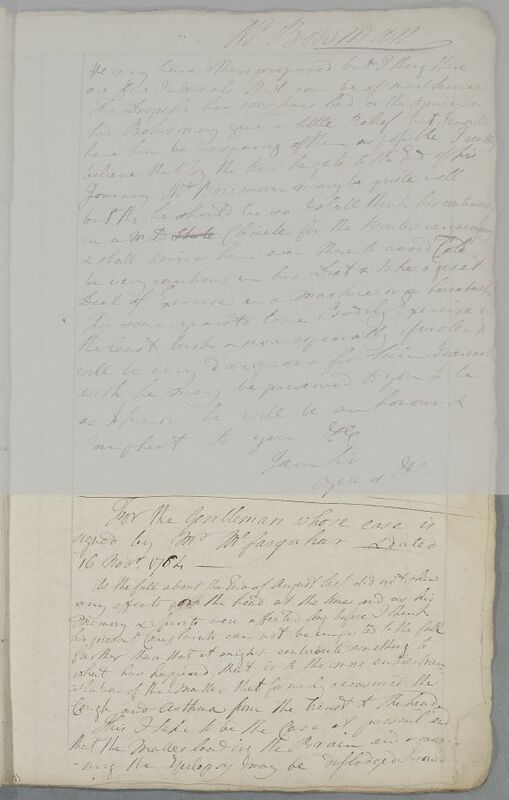 Summary Reply, 'For the Gentleman whose case is signed by Mr Farquhar & dated 16 Novr. 1764' [untraced]. Cullen does not believe the patient's symptoms to be caused by a recent fall, 'further than that it might contribute something to what has happened'. 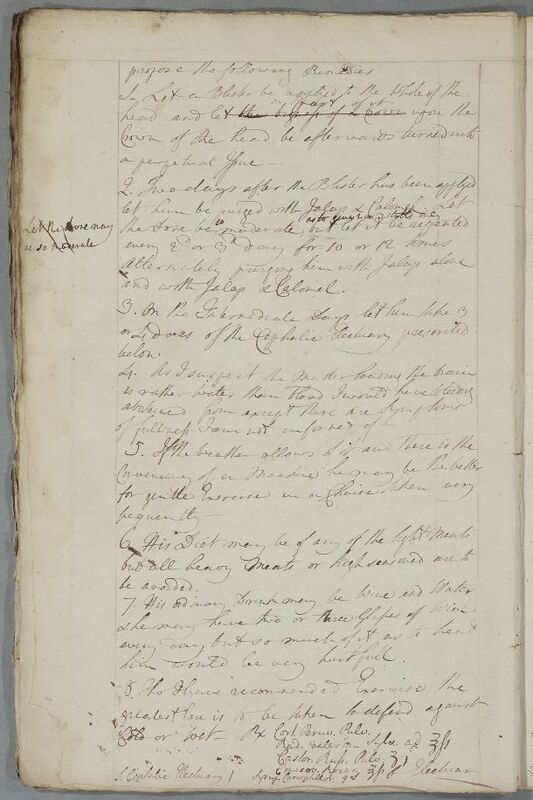 Case of an unnamed gentleman whose cough, asthma and epilepsy may not relate to a fall he once had (as reported in an untraced letter from Mr Farquhar. Cough and Asthma from the heart to the head. and with Jalap & Calomel. him would be very hurtfull. Take half an ounce apiece of crushed Peruvian Bark and woodland Valerian root, with a drachm of Russian Castor and a half ounce of conserve of roses. Add a sufficient quantity of clove syrup to taste, and let it be made into an electuary. Label: Cephalic Electuary. 2: Commonly used general term for any sort of horse-drawn vehicle.